Another icy hike with Layla and friends. This time, we challenged the slippery ice floes of Power Line Pass - South of Anchorage. The four humans and our eight dogs stopped when we came across some bare tundra. It was free of ice and a terrific place for run time. Finding ice-free turf is a rare treat these days and the dogs loved it. 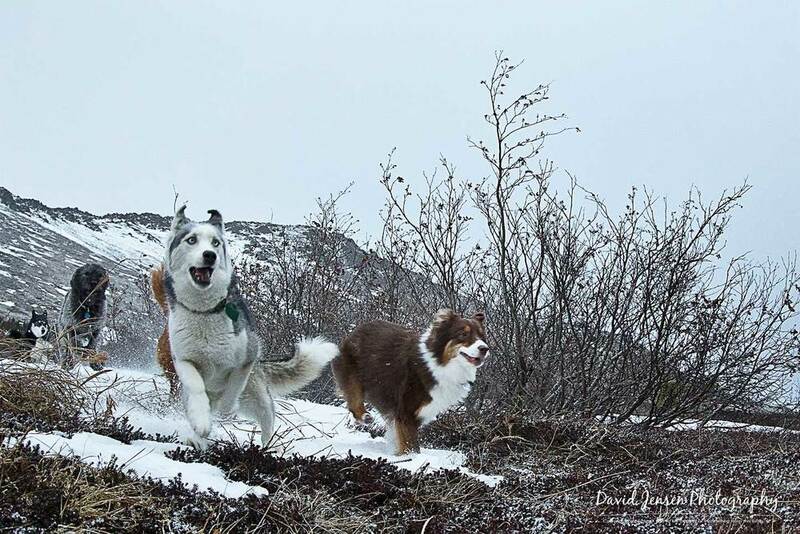 If you enjoy the photos here, and think you would be up to joining Layla, me and a cast of other hiking enthusiasts, consider joining a group I created two years ago on Facebook called 'Alaska Trails and Tails.' That's where you can learn about meet-ups, adventures and lots of trail information that will be useful to you.